The global digital BSS market is expected to grow from USD 2.8 billion in 2018 to USD 5.8 million by 2023, at a Compound Annual Growth Rate (CAGR) of 15.2% during the forecast period. Major growth factors for the market include the advent of tailored BSS solutions and new commercial models, increasing online transactions and use of multiple mobile devices, and reduced operational costs. However, time and cost restraints issues could restrain the market growth. The public cloud allows access to multiple users for sharing information through the internet. The reason for the high adoption of the public cloud deployment model among the cloud storage providers is its ease of access, faster deployment feature, and low maintenance costs. The public cloud deployment model provides different benefits to the telecom operators, and these benefits include scalability, flexibility, reliability, and remote location access. The public cloud segment is expected to be gaining traction, and this is due to the reason that enterprises face less regulatory hurdles and are willing to outsource their storage facilities to third-party providers, either partially or fully. The major concern about the public cloud is data security, due to which, many enterprises are adopting the private and hybrid cloud storage solutions. However, the public cloud segment is expected to hold the largest market share in the digital BSS market. The US is the most developed country in terms of technology adoption and investments. The Government of US is always working toward digitization, for which it takes several initiatives. With the advent of private Long-Term Evolution (LTE) and Fifth Generation (5G) services, the adoption of digital BSS solutions is considered integral. Furthermore, the competition in the wireless industry is at its peak, and every service provider is trying to offer innovative services to their customers. Companies such as CSG international, Netcracker, Amdocs, and IBM are the leading digital BSS providers operating in the region. These companies offer revenue management and billing solutions, customer experience solutions, and digital monetization solutions for every stage of the customer life cycle in the US. Canada also contributes a significant amount of the market share to the total North American digital BSS market. The telecom operators in Canada need to achieve the highest levels of adaptability, speed, and efficiency to address the challenges of digital transformation. Unlike the Siloed BSS, the digital BSS are efficient and flexible. To quote the recent developments in Canada; Ericsson, a leading telco provider, acquired TimelessMind, a consulting firm that specialized in OSS/BSS. Furthermore, CSG international, a global provider of interactive transaction-driven solutions and services, expanded its partnership with Canadas Wind Mobile to expand its product portfolio. The competition in APAC region is fragmented, and the cloud providers are looking at expanding the base of their solutions to most of these countries as a result of improvement in infrastructures and other business strategic moves. The major APAC countries that are expected to witness high growth rates include India, China, Singapore, Australia, and Japan. China is the major contributor of the digital BSS market share in APAC. The growth of the Chinese digital BSS market can be attributed to its huge number of telecom subscribers and the increasing trend of technological adoption. The country is looking forward to digitizing its BSS solutions and combining the existing BSS solutions with analytics, security, and cloud technologies. For instance, in March 2017, Ericsson bought the telecom business of Sunrise Technology, a Chinese provider of IT services in the OSS/BSS domain. Huawei, a leading Chinese vendor, launched its services in the OSS/BSS industry. Moreover, the digital BSS vendors are expanding their business in Japan to increase their reach to the region and provide digital BSS offerings to the Japanese telecom industry. For instance, in August 2017, Comarch expanded its business in Japan by opening an office in the country to offer solutions to telecommunications, financial, and service sectors. In-depth interviews were conducted with Chief Executive Officers (CEOs), marketing directors, other innovation and technology directors, and executives from various key organizations operating in the digital BSS marketplace. Major vendors in the global digital BSS market include Amdocs (US), Huawei (China), Ericsson (Sweden), NetCracker (US), CSG International (US), Nokia (Finland), IBM (US), Capgemini (France), ZTE Corporation (China), Optiva (Canada), Openet (UK), Sigma Systems (Canada), Cerillion (UK), Sterlite Tech (India), Accenture (Ireland), Comarch (Poland), Infosys (India), Oracle (US), Mahindra Comviva (India), Qvantel (Finland), BearingPoint (Finland), FTS (Israel), MATRIXX Software (US), MIND CTI (Israel), and TCS (India). The report includes an in-depth competitive analysis of the key players in the digital BSS market, along with their company profiles, recent developments, and key market strategies. The report segments the global digital BSS market by component (solutions and services), deployment model, end-user type, and region. The report would help the market leaders/new entrants in this market with the information on the closest approximations of the revenue numbers for the overall digital BSS market and subsegments. Moreover, this report would help stakeholders understand the competitive landscape and gain more insights to better position their businesses and plan suitable go-to-market strategies. 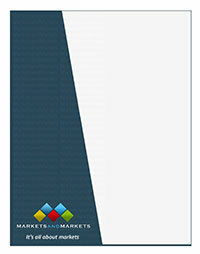 The report also helps stakeholders understand the pulse of the market and provides them with information on the key market drivers, restraints, challenges, and opportunities.